Patricia Riggen’s drama about the 2010 Chilean mining disaster, The 33, starring Antonio Banderas, Juliette Binoche, Gabriel Byrne, Lou Diamond Phillips, Cote de Pablo, Rodrigo Santoro, and many more, opened in theaters in the United Kingdom on January 29, 2016. Fans, as usual, loved it. Critical response has been, shall we say, mixed. #The33 is better than the reviews. It really shouldn’t work. But in spite of itself, and for a handful of honest reasons, it just about does. Parts of James Horner’s score – his second to last, before Antoine Fuqua’s Magnificent Seven remake this summer – have an irresistible, Titanic-y lilt and sweetness. Gabriel Byrne and Rodrigo Santoro make an increasingly likeable team as the chief architects of the rescue operation. And Banderas’ performance, choked up by hope almost more than despair, is his most touching in years. The director, Patricia Riggen, takes precisely one imaginative risk – a fantasy sequence with the starving men hallucinating the last supper of their dreams. It lifts things no end. How a film with this many faults can still deliver the emotive release it’s angling for is not, perhaps, as mysterious as it seems – you can hack away at it with a pickaxe, but this story’s indestructible. The result is a powerful affirmation of the human instinct to survive, a story that, while clumsy at times in terms of its broad-stroke characterisations and dialogue, is nevertheless a compelling emotional rollercoaster. Patricia Riggen’s film about the 2010 Chilean mining accident isn’t really worth travelling far to see. But it’s worth being nice to. Made with the cooperation of the survivors, it treats the men with dignity and recognises them as commonplace heroes. Tip your hat to it. Press a coin into its palm. Now move on. Patricia Riggen’s pedestrian true-story film about 33 men trapped in Chile’s San José mine in 2010 is told through a melange of cod accents, with Irish Gabriel Byrne, French Juliette Binoche and American Bob Gunton all doing non-specific Latino-inflected English. Antonio Banderas and Lou Diamond Phillips make solid fists of their roles as Mario Sepúlveda and Don Lucho, pulling the disparate team together when disaster strikes. Meanwhile, Riggen methodically juxtaposes crises above and below ground level, the only stylistic surprise being a scene that recalls a hallucinatory moment from Oliver Stone’s wholly superior World Trade Center. By the way, a “cod” accent is apparently one that is not very accurate, “cod” meaning mock or sham, according to the Collins English Dictionary. So there you have it! 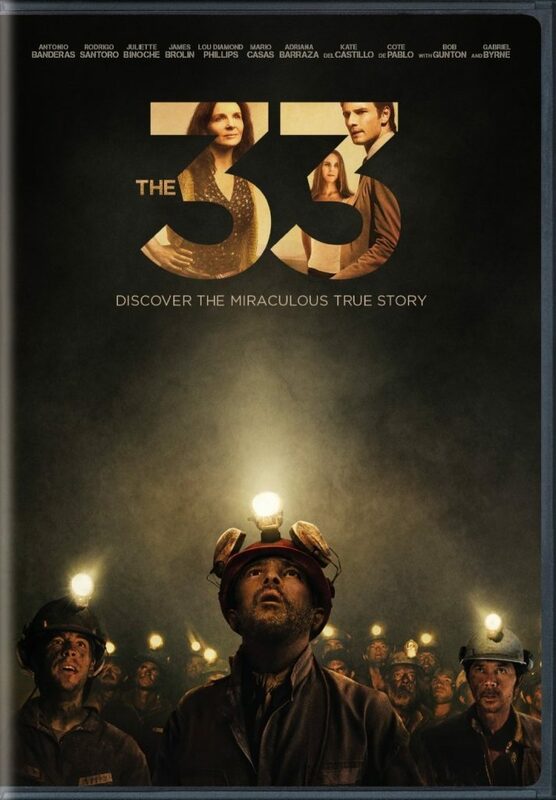 The 33 DVD will be released in the USA on February 16 and the film comes to Netflix USA March 15. If you live in another country, search “The 33 DVD” in your favorite search engine and see what you find. Thanks for the information, especially about the DVD.